This volume provides a non-mathematical introduction to electronic excitation in organic molecules and their spectroscopy, photophysics, and photochemistry. Simple qualitative models, such as the perimeter model, are used to describe the nature of electronic states, and this book reveals how these states are probed by spectroscopy with ordinary and polarized light, including natural and magnetic circular dichroism. The concept of potential energy surfaces is emphasized in discussing the photophysical processes and photochemical reactions that follow excitation. Particular attention is paid to the behavior of molecules at biradicaloid geometries and spin-orbit coupling in biradicals. Simple intuitive models for electronic structure and reactivity are emphasized, and practical application of theory is illustrated through numerous worked examples. 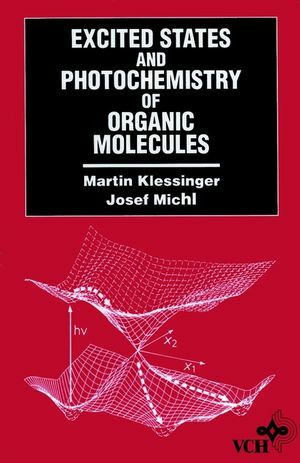 Martin Klessinger is the author of Excited States and Photo-Chemistry of Organic Molecules, Revised and Improved English-Language Edition, published by Wiley.